What the heck, the world must be ending or something... Elder Hansgen has been entrusted to train a new missionary. You're scared? Well that makes two hundred and a couple of us, everyone in the mission is gearing up because they think it’s the apocalypse!!! 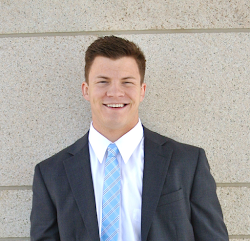 Elder Diaz is his name and being the nicest, friendliest person is his game! I am just saying thank heavens I have a Latin. He is from El Salvador and is; I would say probably like six feet and one inch maybe two! We have already played twenty questions but, it went into overtime and he won by asking one million more questions than me! He is soooo new it is so funny haha....I don't even know how to describe it so hopefully people reading this will know what I mean! Anyways, yeah I AM A TRAINER!!! I am clearly not perfect, I lose my temper, I too am tempted by Satan, (sometimes he wins), most the time I win, I don't have a perfect knowledge of things, I don't have the best vocabulary, I sometimes think when I should do and do when I should think, and I feel like a midget spiritually. It’s because it’s worth it, it’s because "for it must needs be, that there is an opposition in all things." We don't know the blessings that are going to come from the "hard things" but we are promised that it will be worth it. We all have been in our personal, ”Hard Liberty Missouri Jail" moments. I can tell you, endure it well. This attribute, I'm going to be honest I have not obtained and I think it has to be worked on everyday and especially every hard moment. There are people waiting on you to be a disciple of Christ and representative of Christ to fulfill these words, I honestly believe that we can become the hands of the Lord, and Savior of this world if we only go out and serve. He doesn't live here; he needs our hands to complete his work. Be the “Hands” and find the happiness that is incomprehensible and is the purest of all pure. Thank you for giving me inspiration, that email has forever changed my life and thank you for it! I honestly believe people are put in your life for a reason and hopefully you stay for a while! I have one million ideas bouncing in and out of my head while I am writing so hopefully it all makes sense! It makes sense to me, it just all makes sense! If you’re confused pray, Heavenly Father is a lot better at explaining things than I am! I testify I know that He knows you, better than you know yourself. I have a firm yet simple testimony. Joseph Smith was a prophet called of God to restore the same gospel that Jesus Christ established. I know that at that moment in time He opened the heavens again. I know that the Prophet today President Thomas S. Monson, communes with Heavenly Father and Jesus Christ regularly. This Church is where you find Salvation along with Exaltation. I know that after I die, my family and I will live together forever. 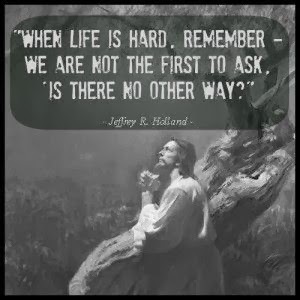 I cannot stress to you enough how important THE ATONEMENT of Jesus Christ really is. I invite all of you to use it daily. I have a firm testimony of service and how it can change someone’s life or affect them forever. I am happy and I testify to you that I know why. One of the most important things I know is we have a Heavenly Father, he loves us he sent his son down to earth to complete a grand and marvelous plan. I know that Jesus Christ lives today. As a church we know that there is a purpose to this chaotic and fallen state we are in and there is a better way to live, a hope, and a faith to achieve. I know I have many faults, I know I am not all prepared to train this new kid, but, I know that with Christ like attributes we can't fail. I so testify in the name of our Savior, Jesus Christ Amen. I know that my new comp and I are going to absolutely kill it. I love my family and I love everyone that is reading this! Thank you for your prayers it helps more than you think.